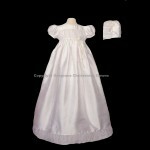 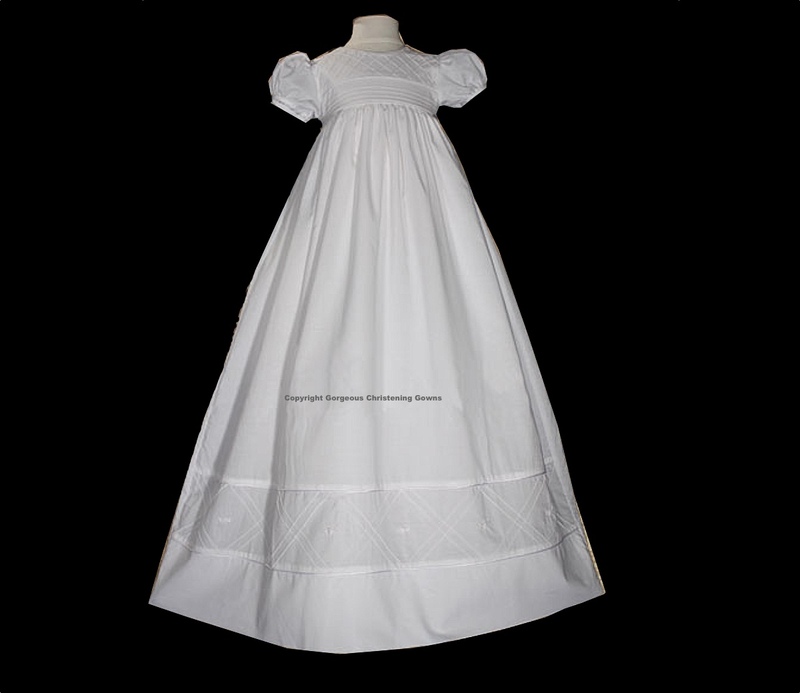 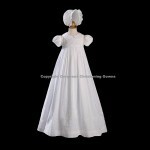 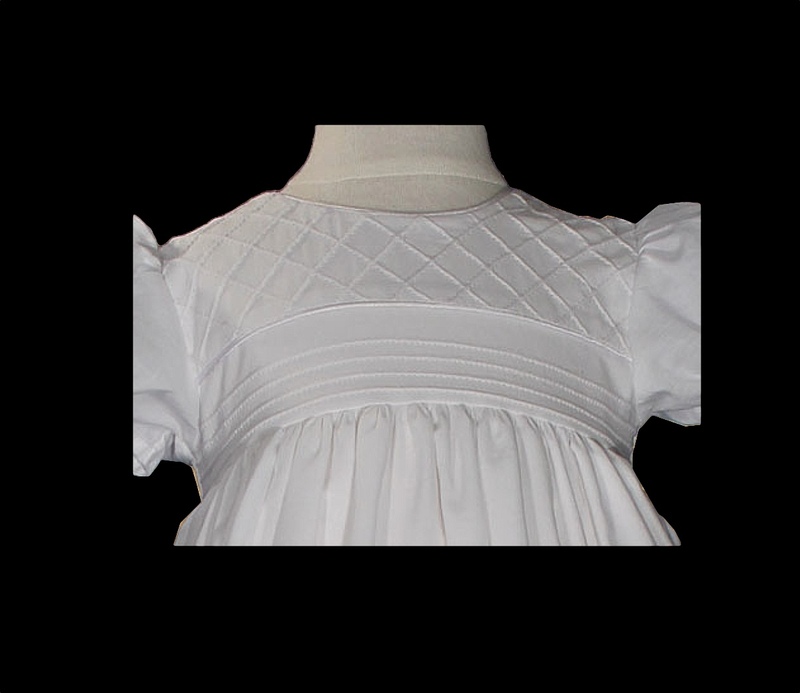 Gorgeous 34″ heirloom christening gown with pin tuck lattice work and elegant hand embroidery. 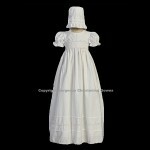 Includes matching bonnet and slip. 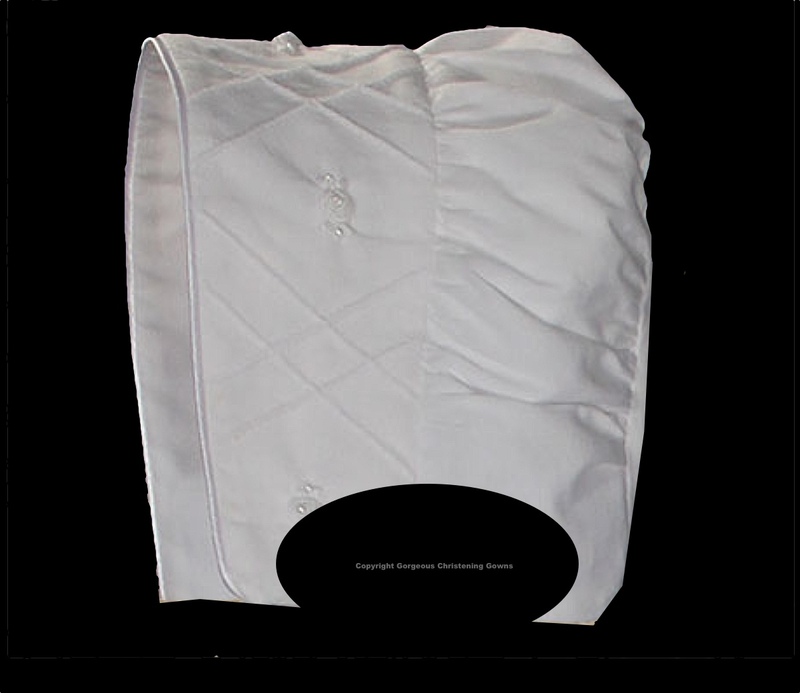 Comes on elegant padded hanger and zippered vinyl bag. 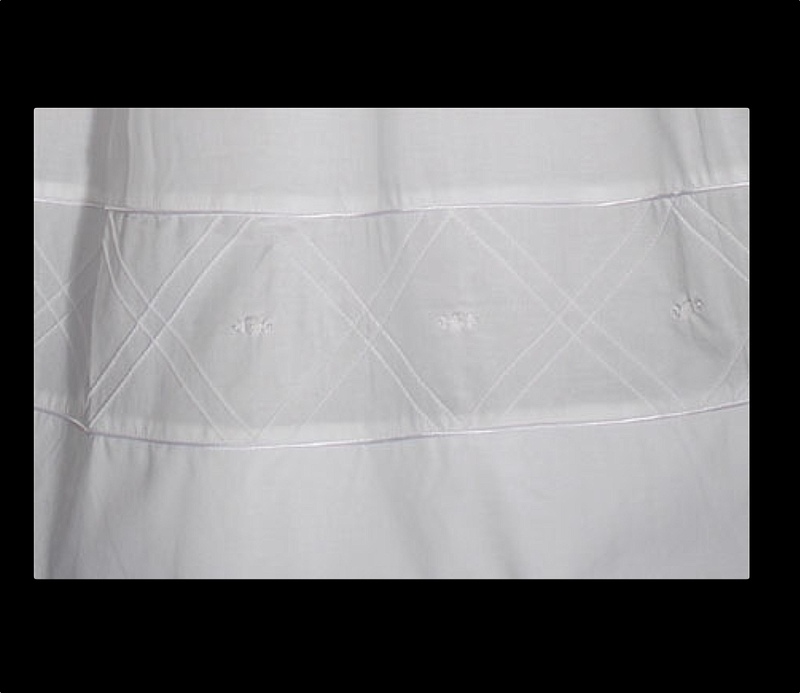 Heirloom preservation bag set recommended for long term storage. 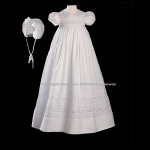 Available in 3, 6 & 12 month.